Operational from 1961 to 1965, the Titan 1 became the United States most expensive weapons system. Housed below ground in a vast network of three silos, each with a three story control center and fuel storage room. Combined with the central command station and crew quarters and the huge generator room with ventilation systems, these complexes are an impressive underground installation. 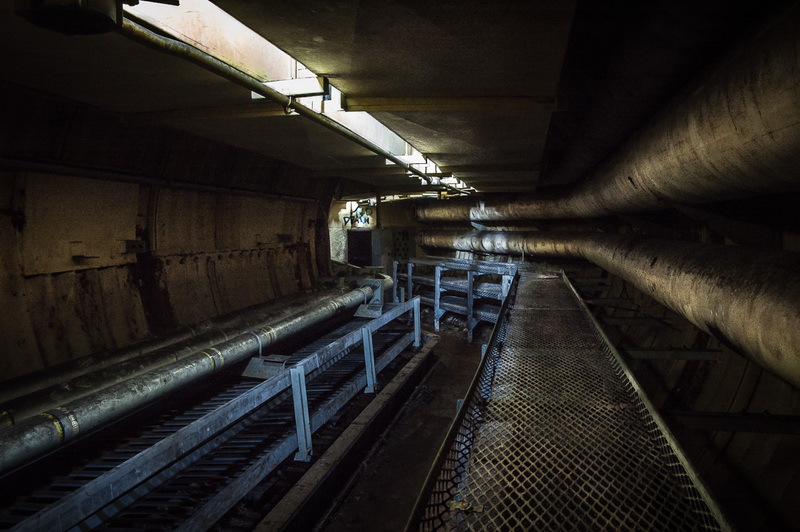 Silo 2’s maintenance tunnel (above) has largely escaped the decay of time or vandalism present in other parts of the underground city. That is an excellent shot !